grandma's cookie jar: I Have a Winner - and Another Give-Away in Two Days! 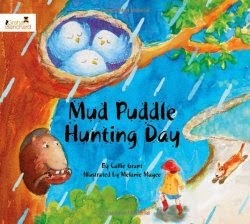 I'm happy to announce Nita Carter is the winner of Mud Puddle Hunting Day! (you'll find all the details at this link) Thank you Nita for reading grandma's cookie jar (please message me your address by May 14, 2014 so I can have it sent to you) and thank you Sterling Children's Books for sending one for me to review and for making another available for me to give away! 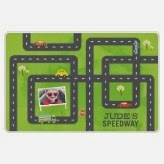 You still have time to get in on the give-away for these wonderful placemats - I love the ones Shutterfly allowed me to make for review more and more every time my grandsons use them, so please join in the fun and share it with the people you know!